Ace Hardware and Avis Bring Positioning to Life in New Ads – StratGo Marketing. Plug-in marketing department services. Why does some advertising easily fit and resonate for the brand while so much does not? One answer is that the advertising is consistent with the positioning, and helps dimensionalize it and bring it to life for customers. Let’s explore with examples from Ace Hardware and Avis Rent A Car. I like the Ace commercial. It grabs your attention and conveys the company’s key message points in an engaging way. It’s effective. However, price is still important, and often the most important purchase decision variable. For example, the furnace filters I buy are about 15% cheaper at Lowe’s, so that’s where I go. 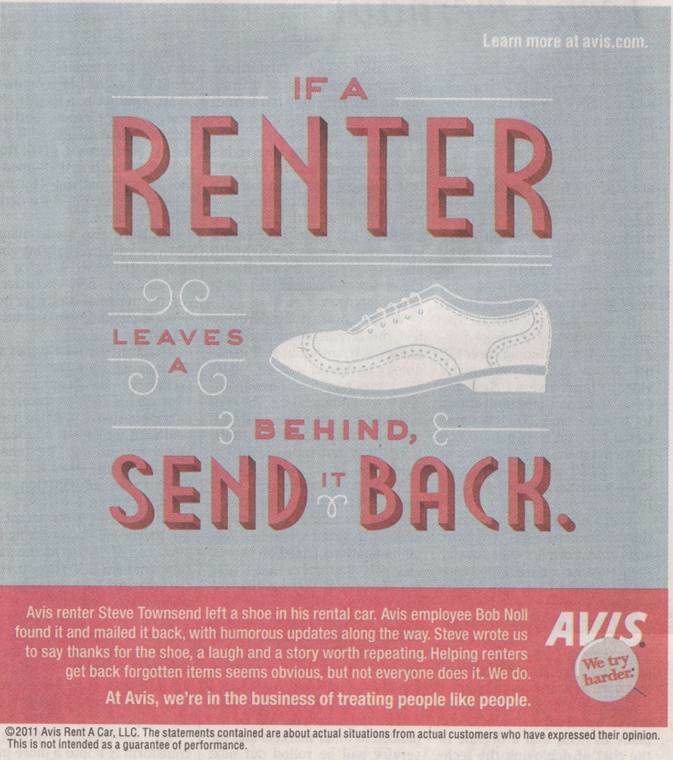 Avis has been successfully leveraging its “We try harder” positioning since 1963! This advertising is totally consistent with the “We try harder” positioning and the creative is interesting and engaging. Even though the company cannot and does not guarantee this type of service, the ads still come across as credible (including one of the companion tv spots where the agent waits after hours for a woman on a late arriving plane). Get your positioning strategy in order and bring it to life with a powerful marketing mix. Thank you for sharing our new campaign on your blog. We’re glad you like it!